We welcome all of our Old Bridge, NJ residents to experience the 70+ years of outstanding service we have been proving in the window treatment industry. When it comes to providing custom window treatment installations, we want you to enjoy the entirety of the design process and allow us to handle all of the hard work, from start to finish. Our Old Bridge custom drapery services have left many satisfied customers throughout the years. Never worry about the quality of our work because all custom window covering installations are performed by our experienced in-house professionals. Our window treatment store offers custom fit blinds, window shadings, valances, and coverings. We are a turnkey business that covers everything from measuring and fitting to installing your drapery, blinds, and shades. We can’t stress enough about how proud we are to be a 4th generation family owned and operated business. At Rosen Decorators, you will get a personal touch that is hard to find when you order online or shop at big box stores. Before we install Old Bridge window treatments, we want you to enjoy the custom drapery process and we invite you to visit our store and showroom. Although we offer in-home consultations, our store is where you can make the most out of our services. Our showroom contains full sets on display allowing you to physically touch and feel the quality of our products in person. Skip the doubt and hassle of purchasing online, (cheap window treatment sales are often too good to be true!) as the items may not live up to the quality you desire. At Rosen Decorators you can expect good old-fashioned personal service and high quality name brand products. When you’re ready, your next project starts with guidance from one of our expert designers. Our experienced and trained staff can’t wait to answer all of your questions about the many different styles of drapery, shadings, and blinds we offer. We want to work within your budget. We will never try to upsell you or take advantage of your spending limits. At the end of the day, it’s all about your vision. You can expect us to make suggestions and show you what might match your window covering design idea without pressuring you to buy. Take your time and browse our patterns, designs, and textures and all of the latest blinds, shades, and shutter designs. We even carry extra-long two story curtains in styles such as contemporary, traditional, farmhouse, eclectic, and modern. 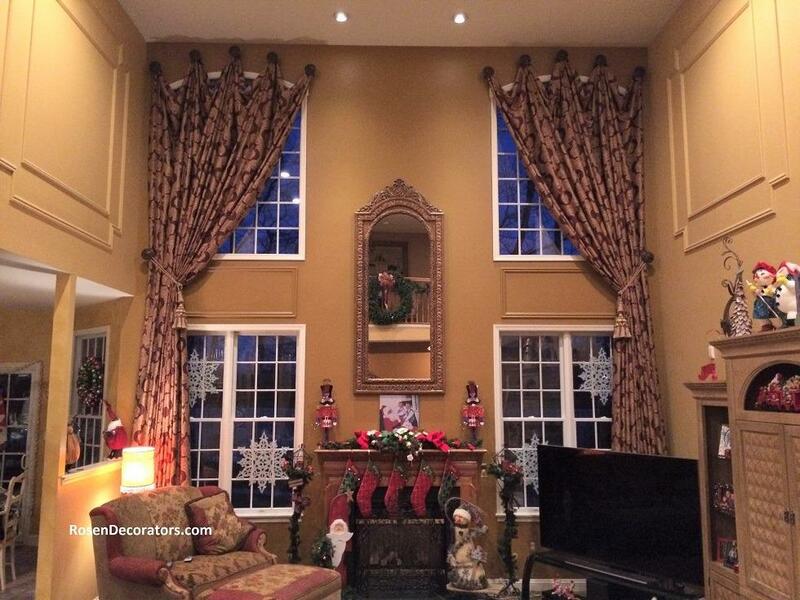 “But what if I have no idea how to design a window treatment?” No worries! Our experienced window treatment designers are trained to inspire you during your one-on-one consultation. So what are you waiting for? Trust Rosen Decorators for the best in blinds, shades, shutters, valances, drapery, cornices, fabrics, trims, and tiebacks, and double story window treatments in Old Bridge. Our Old Bridge window treatment installers operate second-to-none. You can expect all of our professional installations to receive an encompassing window covering service. We offer the highest standards when it comes to attention to detail and implementation of your window treatment measurements and fittings. Tall window treatment installations are our specialty. We have completed many high window and double story window coverings in various great rooms, entry halls, and family rooms. Not only does our experienced staff of custom drapery treatment installers measure your cornices, drapery, valances, blinds, shutters, and shades for a perfect fit, we will repair them too. We carry all the necessary blind repair parts and materials to fix your blinds and coverings with just a quick call. 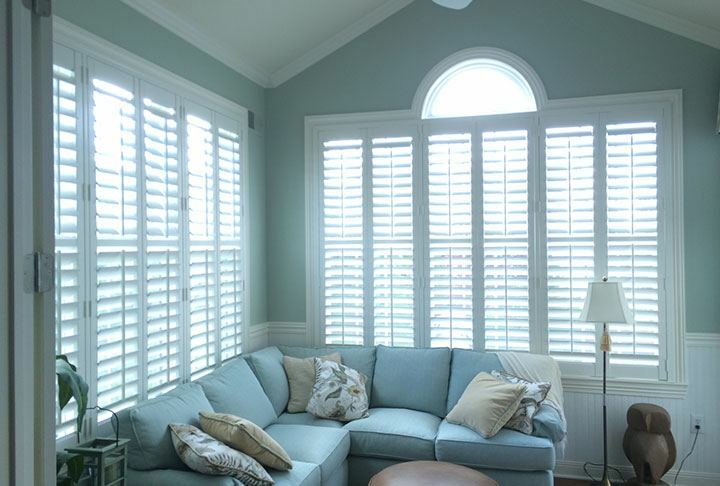 Providing Old Bridge window treatment measuring and installation services is what we do best. At Rosen Decorators we carry a full line of decorative hardware and window treatment hardware available for our Old Bridge residents. We have an assortment of drapery finials, curtain rods, brackets, wood and metal poles, and more. Our window treatment accessories come in tons of styles such as different color metals like copper, iron, and silver. We carry curtain rod rings and wall mounts for both vertical and horizontal blinds. And although we are known as the drapery and valance specialists, we also supply premium home décor products to Old Bridge, NJ. Allow us to show you our collection of luxury bathroom décor and bedroom décor. We have unique and sophisticated luxury bathroom accessories that are hand crafted from famous designers such as Mike + Ally. We also take care of your bedding needs with a large selection of luxury bedding products, upholstered headboards, and custom bedding ensembles. Allow us to bring out your inner interior designer creativity while we turn your window treatment visions into a reality. Contact us today for immediate assistance.